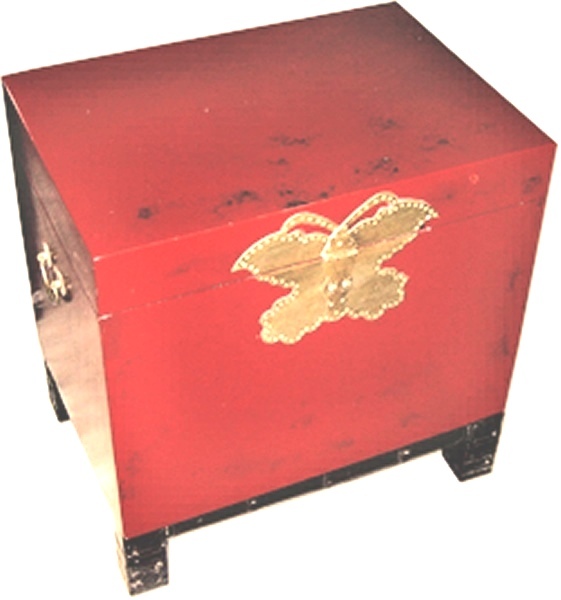 A red lacquered lovely modern butterfly box lined with Chinese printed papers. It has a small separate stand. The butterfly design on the front and the lock are both made in brass.